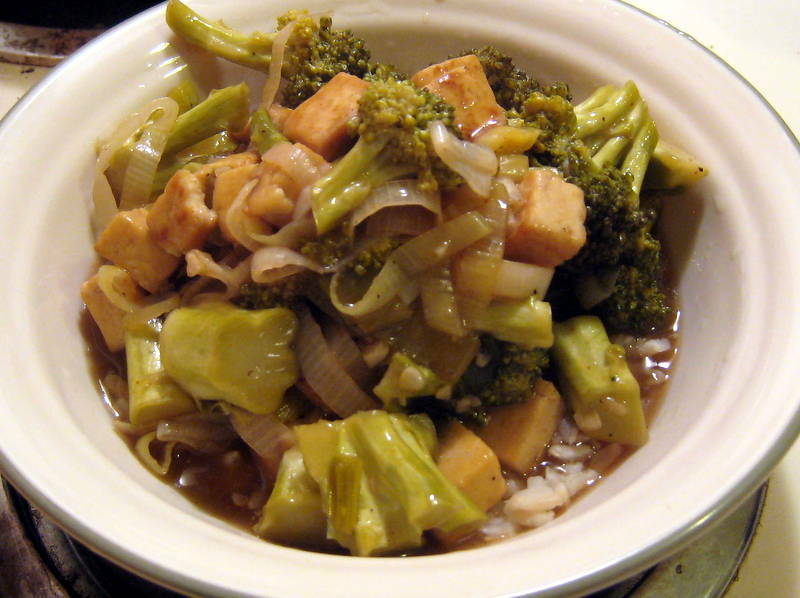 Basically, this is basically the Martha Stewart Tofu and Broccoli Stir Fry, but without the cashews, lots of cayenne, some extra rice vinegar, and a dash of sesame oil. We used our CSA broccoli and served it over brown rice. What a good looking salad! What a fine looking cat! 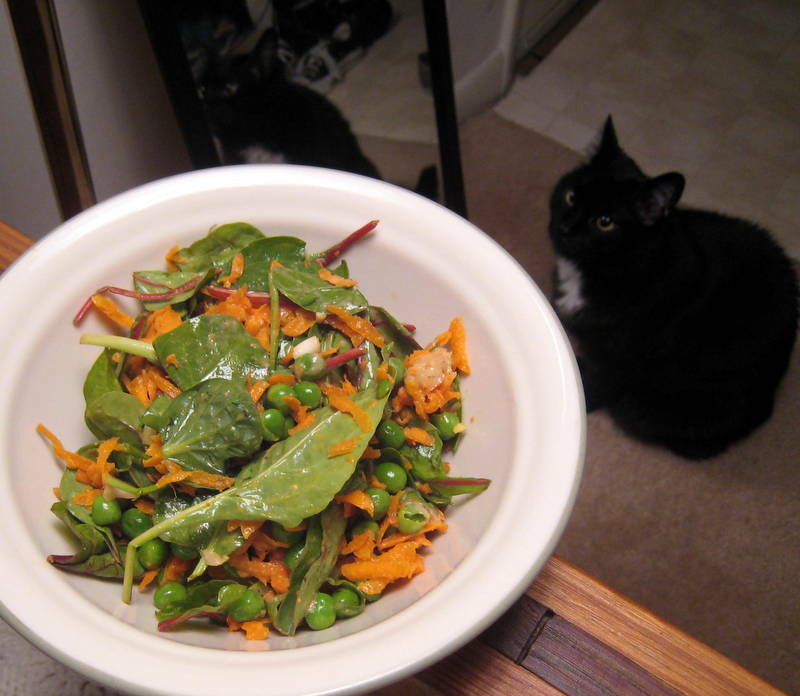 The salad is simple; super greens, peas, and shredded carrots. For the dressing, mix together 2 TBL peanut, 1 TBL Braggs, 1 TBL rice vinegar, 1 tsp fresh ginger, 1 diced shallot, 1-2 TBL water. Easy! Preheat oven to 425°F. 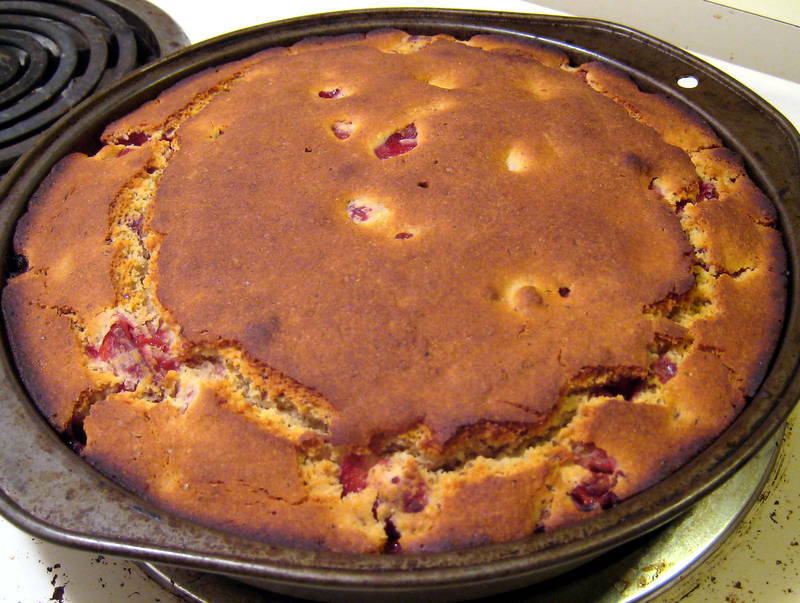 Prepare a 10-inch cake pan with Earth Balance or cooking spray. Combine water and flax seeds in a bowl, microwave for 1.5 minutes, stirring every 30 seconds until the flax turns into a gel. (Or cook on the stove about 3 minutes on med-low.) Set aside. In a medium bowl, whisk together the gf flour, cornmeal, sugar, baking powder, and salt until well-combined. Add the ground flax seed mixture, rice milk, lemon juice, oil, and Earth Balance to the flour mixture. Mix just until smooth (do not overbeat.) Gently stir in strawberries. Cool 15-20 minutes before serving. 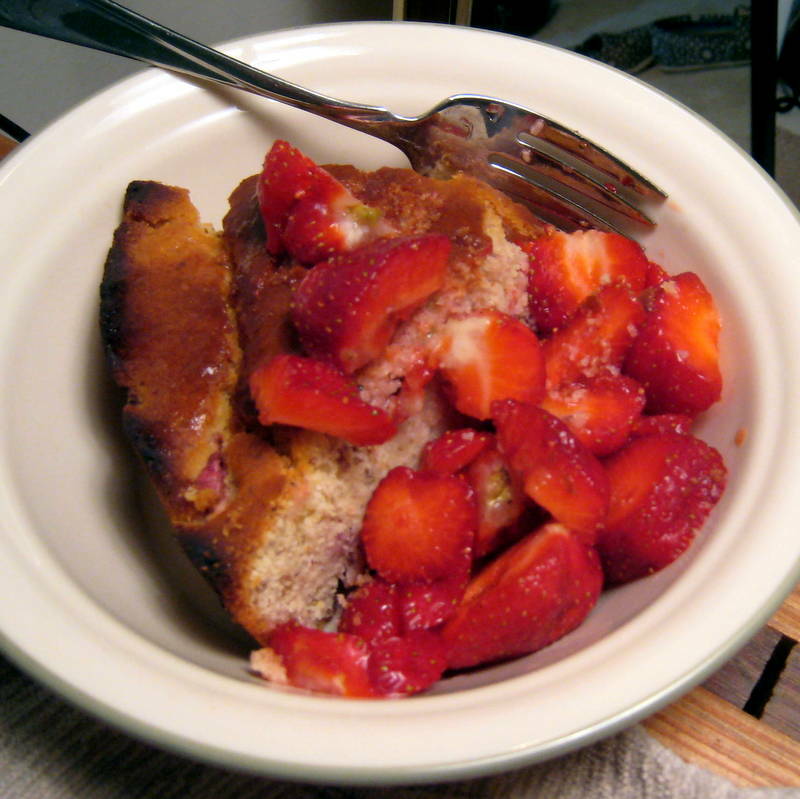 ** you can add more strawberries to the batter or serve with extra strawberries! Slice the tofu into 9 slabs. Heat oil in a pan and fry until golden brown on both sides (about 3 minutes per side). Remove from heat and cool. Cut into bite sized pieces. Place tofu in a baking dish (we used a large cake pan) and toss with 1 TBL Braggs. Blend the other ingredients together and pour over tofu. Make sure all the pieces are well coated. Bake about 30-40 minutes until most of the liquid has absorbed and the tofu is firm. If it starts to brown too quickly, cover with foil. The longer you cook it, the firmer the tofu will become. Heat a frying pan and sautee the bell pepper with the cayenne and vinegar. Cook until tender, but not mushy. 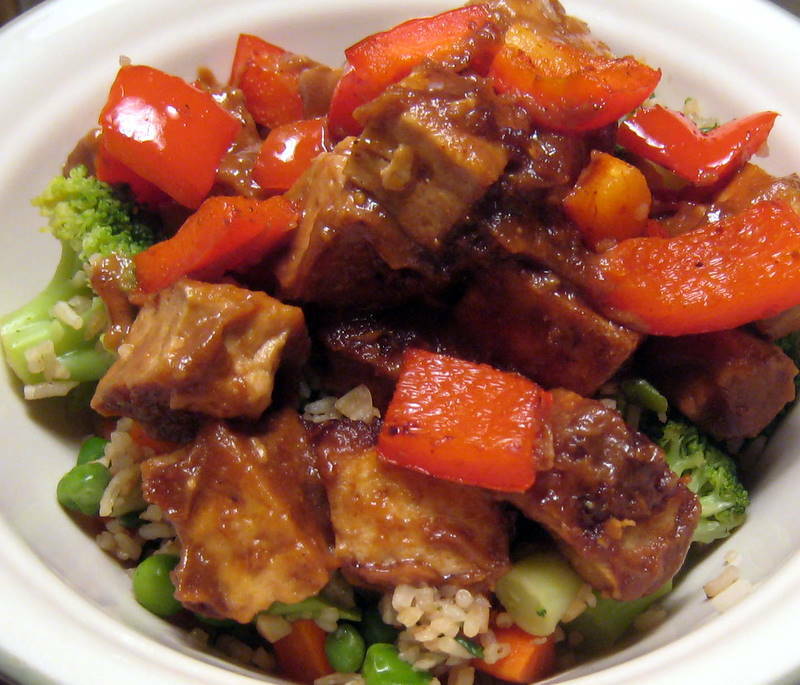 Serve tofu and peppers over vegetable fried rice. 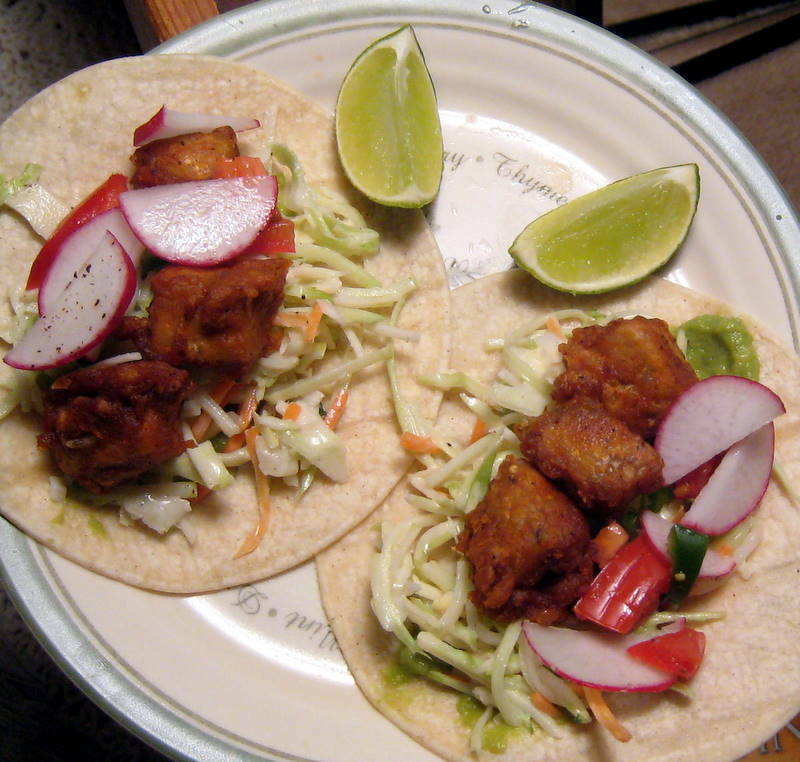 Adapted from this recipe for Javanese Roasted Tofu. What could be better on a cold night than savory pozole topped with tons of goodies and fresh squeezed lime juice? Nothing, actually. That’s why I made 8 quarts of this stuff. 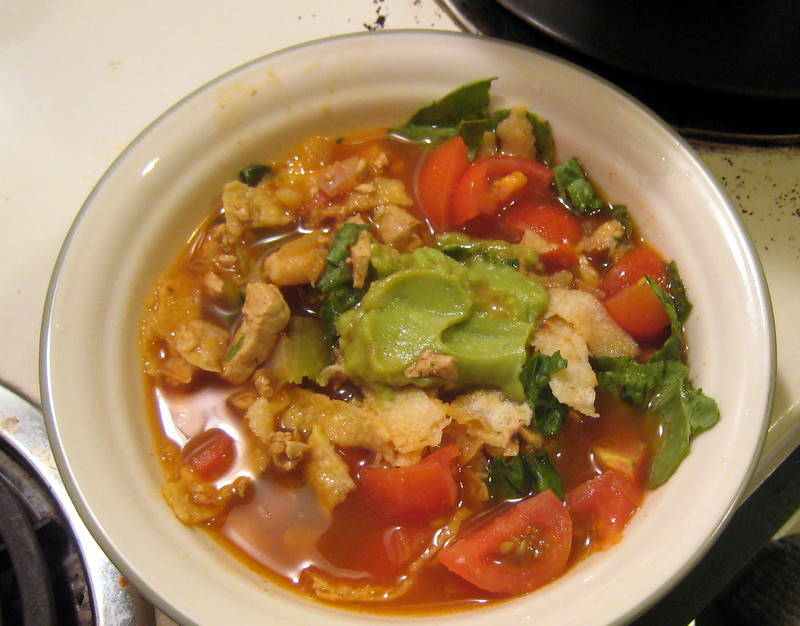 Adapted from Rick Bayless’s Pozole Rojo. First, chop the tofu and onions, cook with a little olive oil, Braggs, and liquid smoke until onions are very soft, about 15 minutes. Meanwhile, hydrate the chilis with enough hot water to cover. In an 8 quart stock pot, bring to a boil the 6 quarts of stock, chopped garlic, and hominy (do not drain). Then reduce heat to simmer. When the chilis are ready (about 20 minutes), blend them with the liquid until they form a paste. You can use a food processor for this, but I recommend a large cup and an immersion blender. Press the chili paste through a mesh sieve into the stock pot. Add the tofu and onion mixture with the all the liquid. Stir well and add a little salt. Simmer on medium heat 1 hour. Add lime juice and cook 1 more hour. Taste again for seasoning. Serve pozole loaded with garnishes. 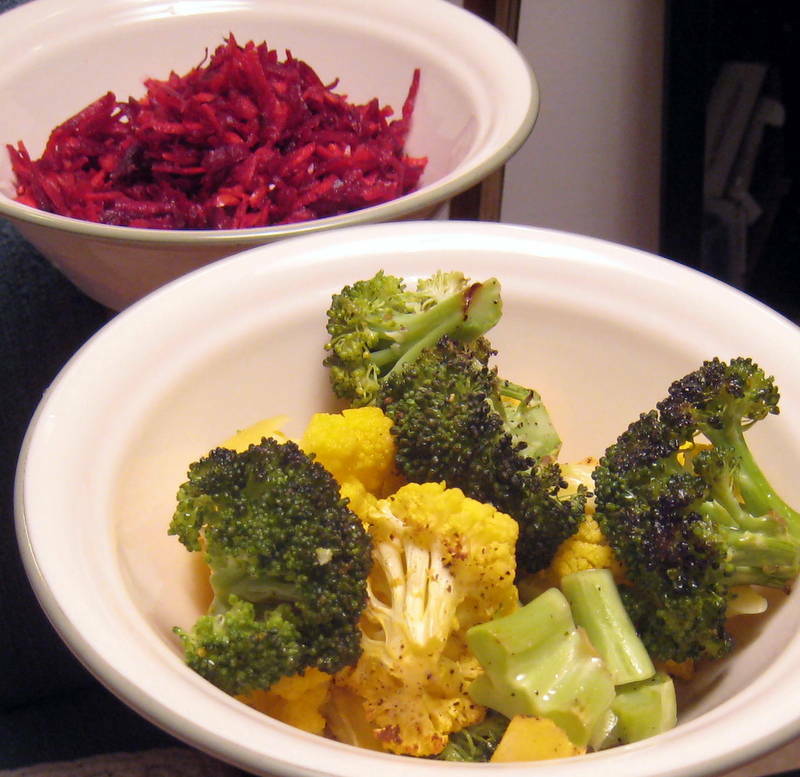 You may want to prepare the vegetable garnishes and allow them to come to room temperature so they do not cool off the soup too quickly.